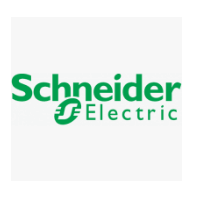 Schneider Electric Recruitment 2019 scheduled to hire Mechanical Designer for Engineering graduates at Bangalore. The detailed eligibility and application process are given below. BE/B.Tech in Mechanical Engineering. 0-2 yrs. experience. Knowledge of manufacturing processes and assemblies. Knowledge of Sheetmetal operations and processing. To work in a virtual environment. Should be team player and be able to work in a multicultural team. Good interpersonal and customer relation skills. To be professional and ethical at all times. Exhibit a courteous, conscientious, and generally businesslike manner in the workplace. To be Passionate, Open and Respectful, Straightforward in one’s dealing and act with Integrity, to be Effective and deliver high performance and be pragmatic and fast. 3D modeling & drawings of Mechanical Asys of LV & MV Switchgear. Completing all modelling assignments with expected QUALITY. Completing assignments day-to-day within specified schedule. Take up stretched assignments as and when needed. How to apply Schneider Electric Recruitment?